Louisiana Nursery has partnered with Chimp Haven this fall. Chimp Haven has been growing food onsite, by doing this they are able to save money, add novel items to the chimpanzees' diets, reduce their energy footprint by avoiding transportation costs, and reducing pesticides entering our ecosystem. 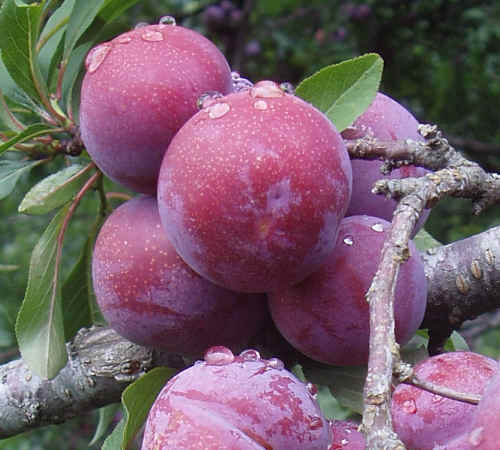 Help us expand our fruit orchard by adding additional peach, plum, pear, pomegranite, fig, persimmon, blackberry, blueberry, raspberry, strawberry, grapes and muscadines. Select your choices from below or call Louisiana Nursery @ 318-925-0971 for more information. Sales taxes are included. It's quick, easy and completely tax deductable! A sweet and very crisp apple. Good for all purposes, but especially good for fresh eating. 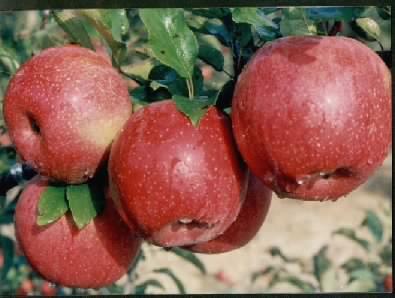 Ripens early September. 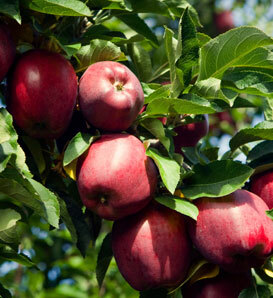 America's favorite apple is tender, crisp, juicy, and has a mild flavor for fresh eating. Requires a yellow delicious pollinator. 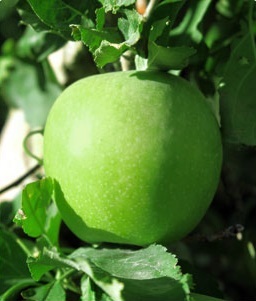 A large apple with a fine sweet flavor for fresh eating, pies, and preserves. Ripens late October. Crisp and firm; tart with a light touch of sugar. Bound to make your mouth water. Crisp and firm with a creamy white flesh. Excellent for fresh eating, salads, and baking. Very sweet, crisp and sweet. Excellent for snacking. Very little or no sugar needed when baking. 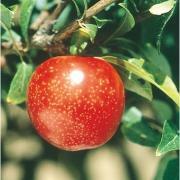 Large fruit with brilliant red flowering. Firm and highly flavored. Creamy white flesh. Freestone. 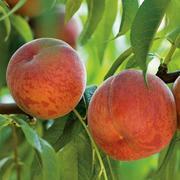 A wonderful juicy and sweet all purpose peach. Freestone. A Louisiana favorite developed by Louisiana State University. A very large, delicious freestone. Yellow fleshed with excellent flavor. Freestone. A large freestone. 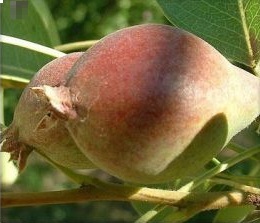 a vigorous all purpose fruit. A firm freestone with sweet flesh. Heavy, early producer. Medium, extra sweet red-purple fruit. Early producer, self pollinating. 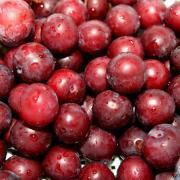 Large, juicy and sweet with amber red flesh and purple-red skin. Great pollinator. Very large red fruit with red flesh. Great flavor with high sugar content. Developed by Texas A&M. Known for being very vigorous and productive. It's red skin with yellow flesh is perfect for fresh eating, canning and jellies. 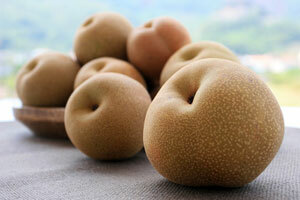 Medium to large fruit has excellent rich, sweet flavor. Brownish green/yellow fruit. 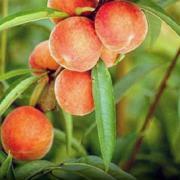 Ripens mid August to mid September. Highly blight resistant. 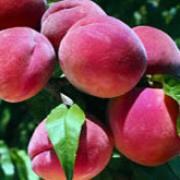 Exceptional quality and deliciously sweet with very low grit. 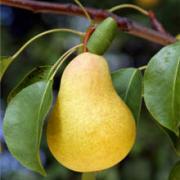 Fruit has large green/yellow fruit with typical pear shape. Ripens August. 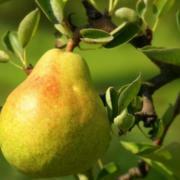 Most well known as a canning pear. 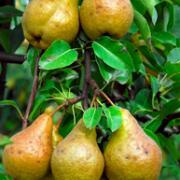 Excellent quality fruit and great for pollinating other pears. Ripens late September. Highly blight resistant. Originally known as the Hattiesburg Post Office Pear, and later named after Thomas Oscar Warren, founder. Smooth, buttery, not-so-sweet melt in your mouth fruit. Sweet, firm, juicy and crunchy. It can be eaten fresh or canned. Heavy producer. Ripens August. 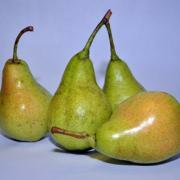 Extra large yellow fruit with blush overtones. Has smooth flesh and mild flavor. Eat fresh or can. Nearly grit free. 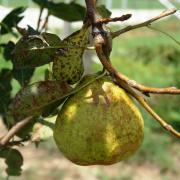 Large golden-russet with sweet-tart pineapple flavor. Very productive and bears at early age. Ripens August. 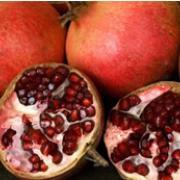 The most widely planted pomegranite. 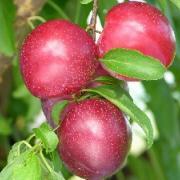 The arils are tender, deep crimson with sweet flavor. Lovely bright orange double blooms. Medium to large mahogany brown fruit with deep burgundy pulp. Ideal for fresh eating and preserves. Cold hardy. 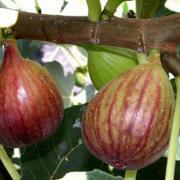 Known as the "sugar fig", it's medium fruit has light brown to violet skin and strawberry pink flesh. Excellent for fresh eating and preserves. Most cold hardy fig. 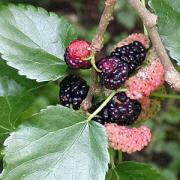 It's oblong fruit is dark rich purple with sweet flavor. 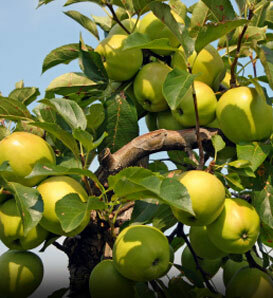 Contains a high water content and has become popular as a fruit juice in many countries. Great for fresh eating or feeding your wildlife.